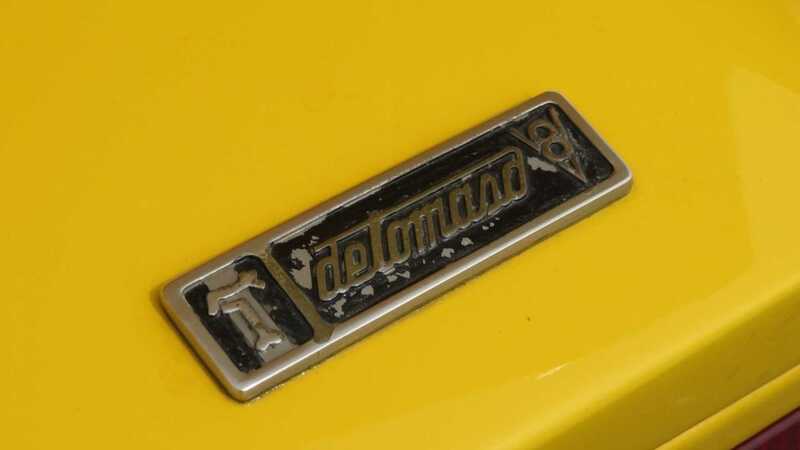 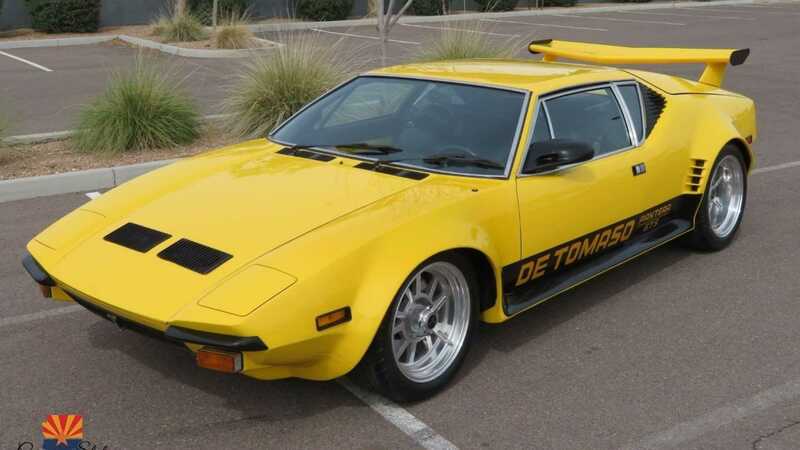 De Tomaso began manufacturing the Pantera in 1971 and continued building it until 1992. 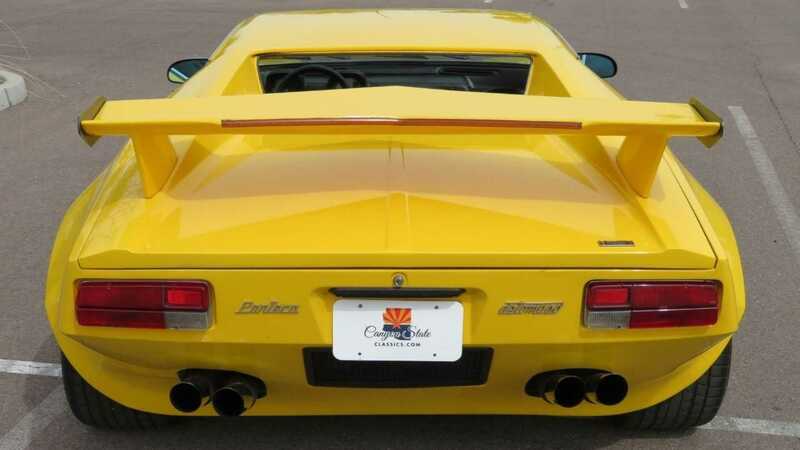 This mid-engine sports car was designed by Tom Tjaarda and over its twenty-year production run, a total of 7260 copies of the Pantera were manufactured, thus making it the automaker's most popular model. 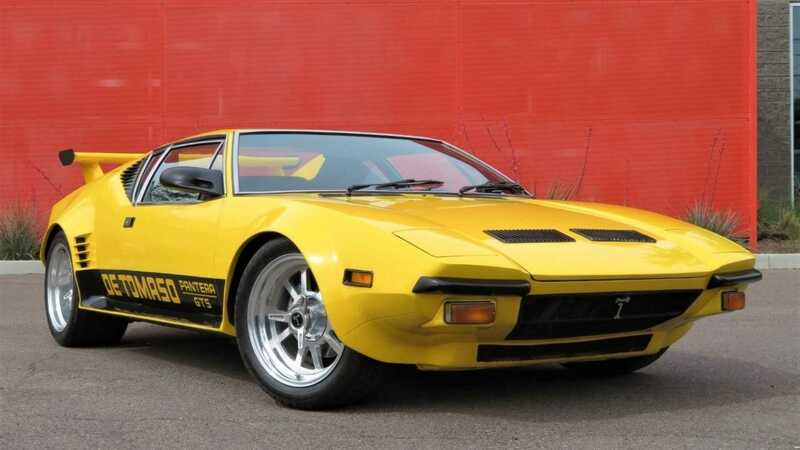 The De Tomaso Pantera was powered by a 351 cubic-inch, 5.8-liter Ford Cleveland V8 which produced 326-horsepower at 5400 rpm and 344 pound-feet of torque at 3500 rpm. 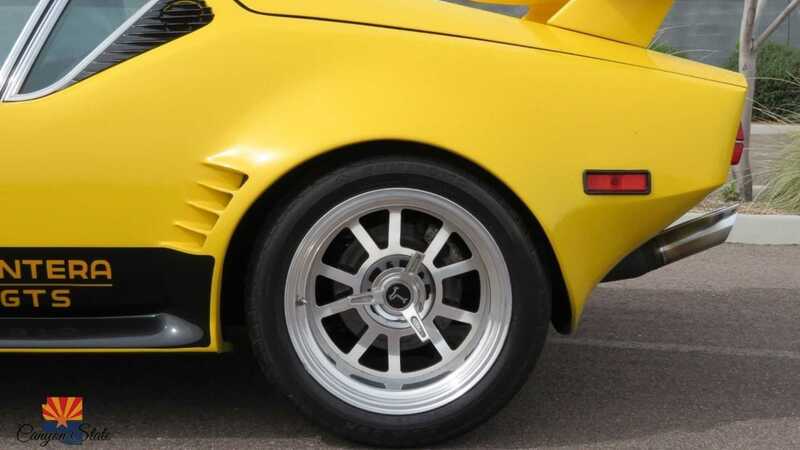 The engine sent power to the rear wheels via a ZF-sourced five-speed manual transmission. 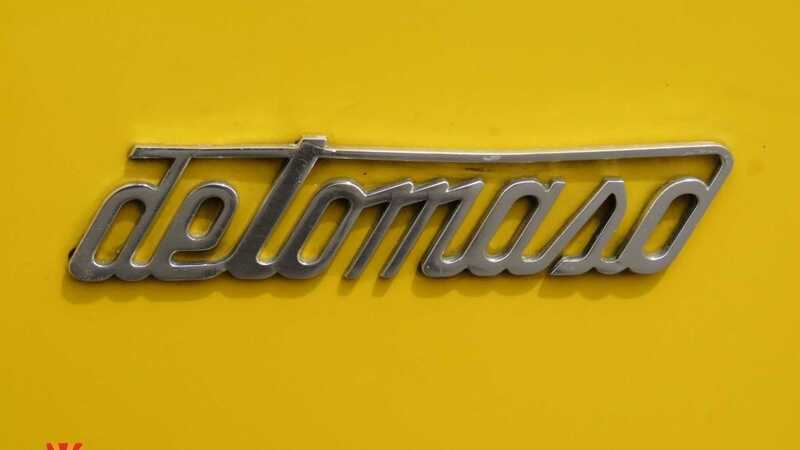 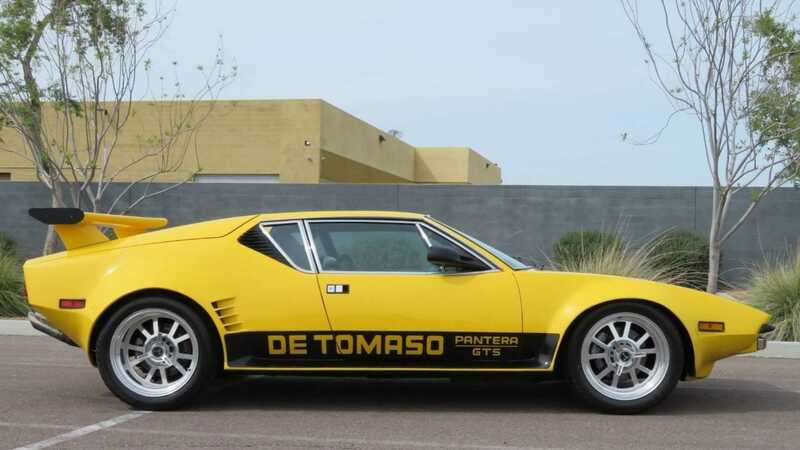 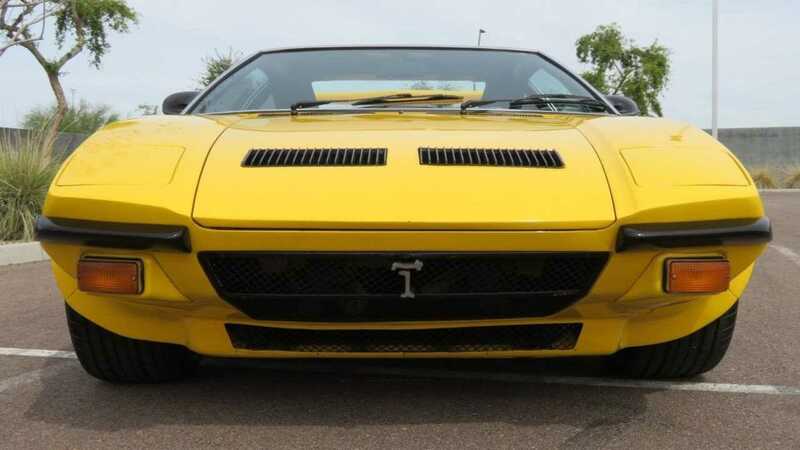 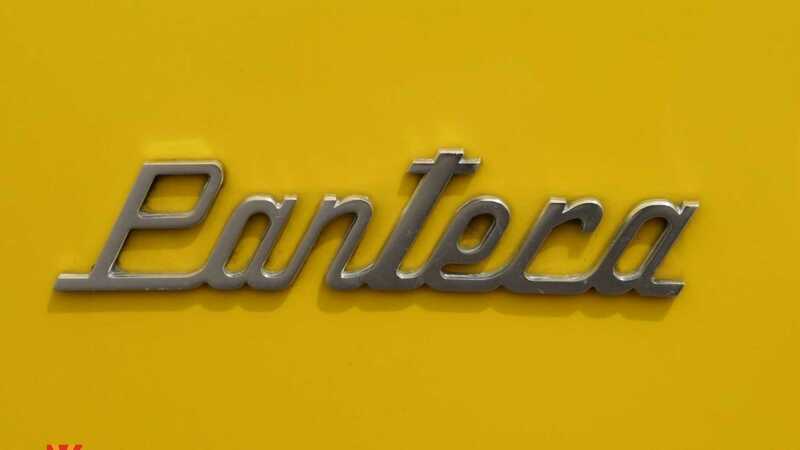 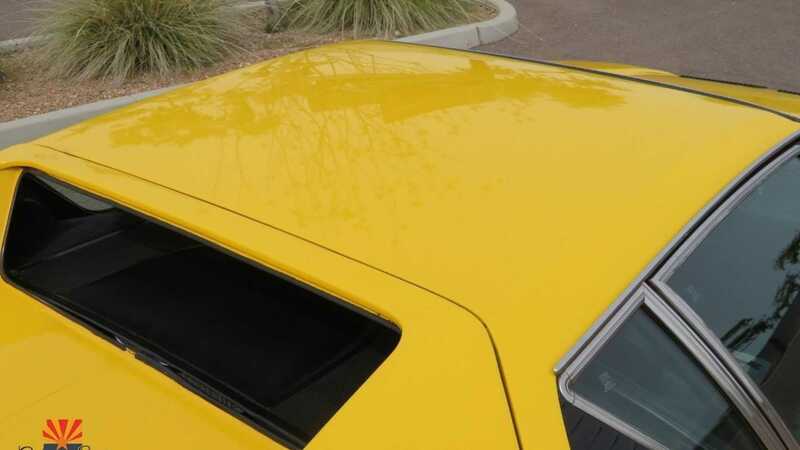 This particular 1973 De Tomaso Pantera GT5 in yellow currently for sale at Canyon State Classics in Tempe, Arizona is powered by the 351 cubic-inch, 5.8-liter Ford Cleveland V8 and is bolted to a five-speed manual transmission sourced from ZF. 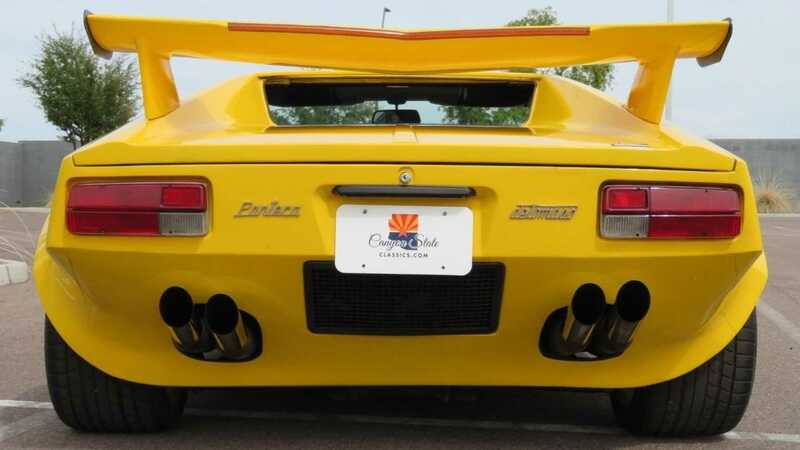 The listing states that for the last 13 years, this GT5 steel body Pantera was owned by the same owner and was kept in a climate controlled garage in California. 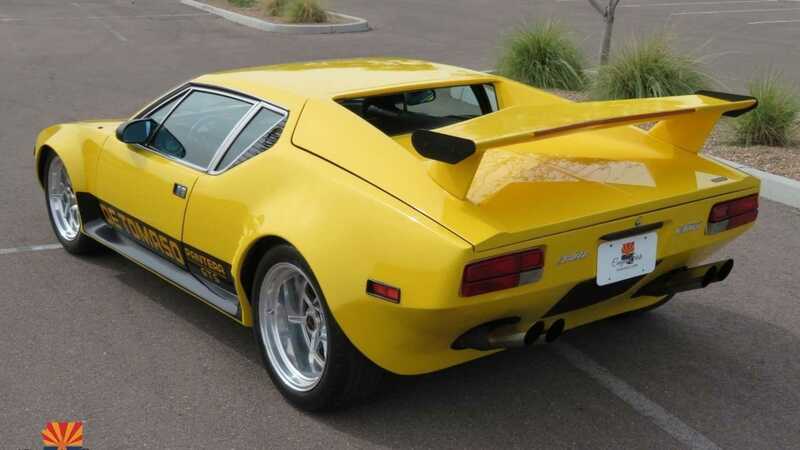 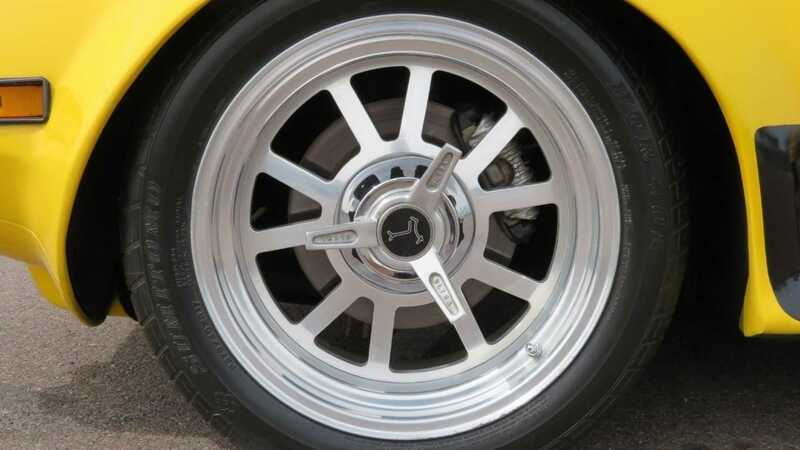 This '73 Pantera is fitted with aftermarket GTS trim, an updated braking system which includes new ventilated and cross-drilled rotors up front and ventilated rotors out back along with new brake pads on all four corners, Clarion six-disc CD player, and even comes with the original owners manual and other associated articles. 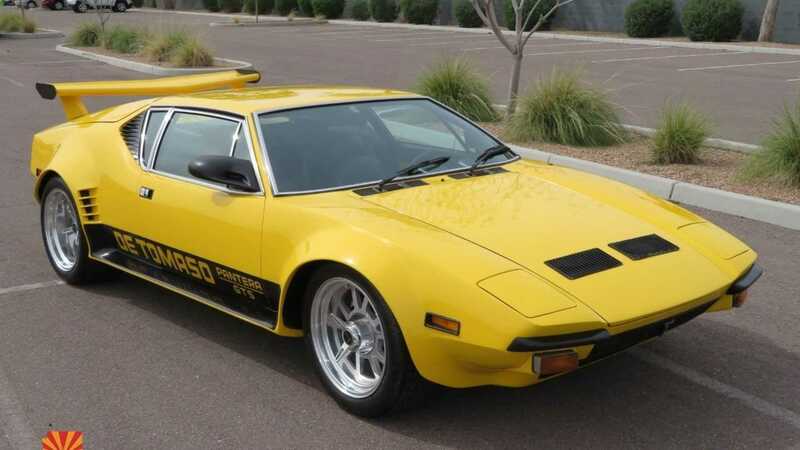 As of this writing, this Pantera has only covered 13,460 miles since new. 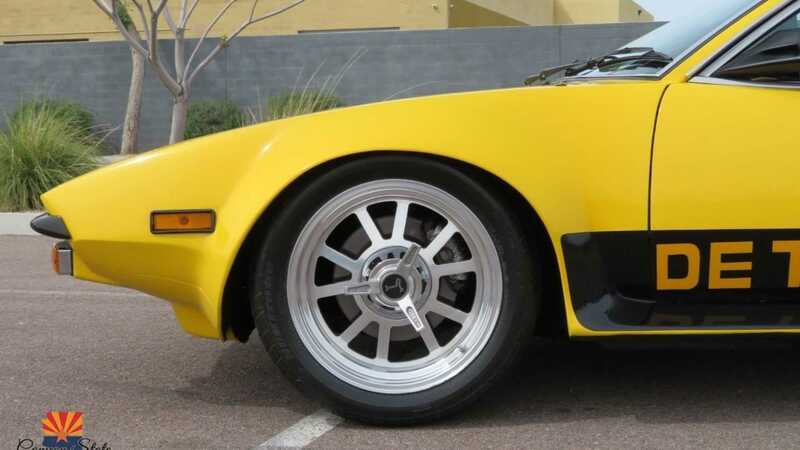 On the outside, this particular Pantera is fitted with all-steel aftermarket GTS trim and the yellow paint appears to be in great condition. 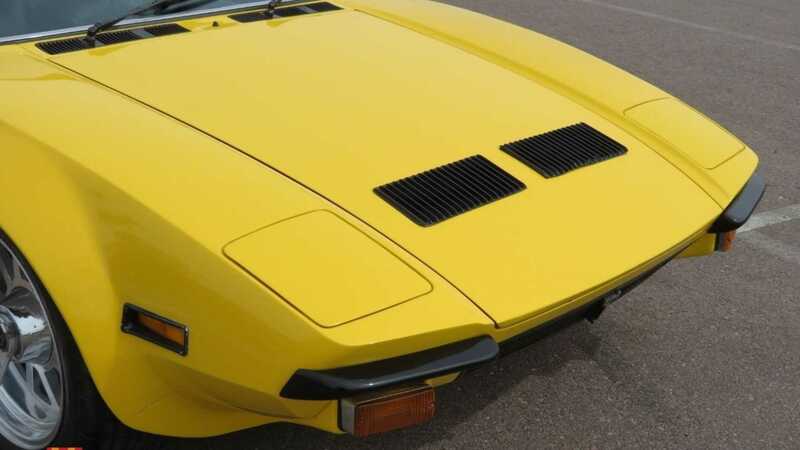 The listing also mentions that this vehicle is mechanically sound and runs incredibly well. 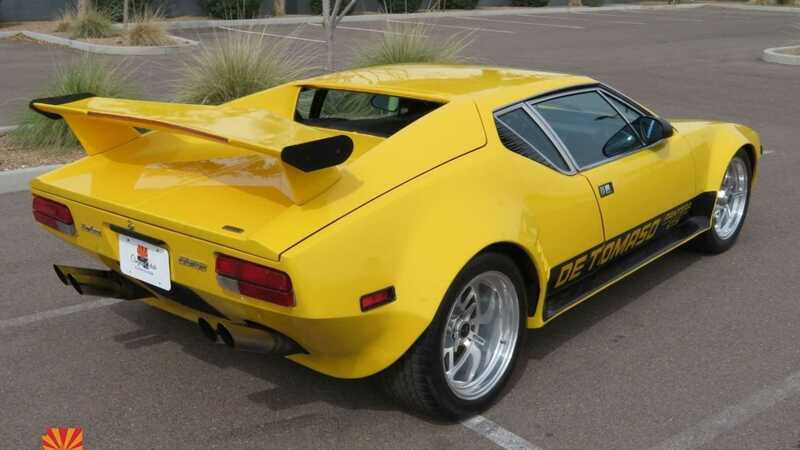 Inside, this Pantera is fitted with black leather seats with matching yellow accents and is fitted with the previously mentioned six-disc Clarion sound system. 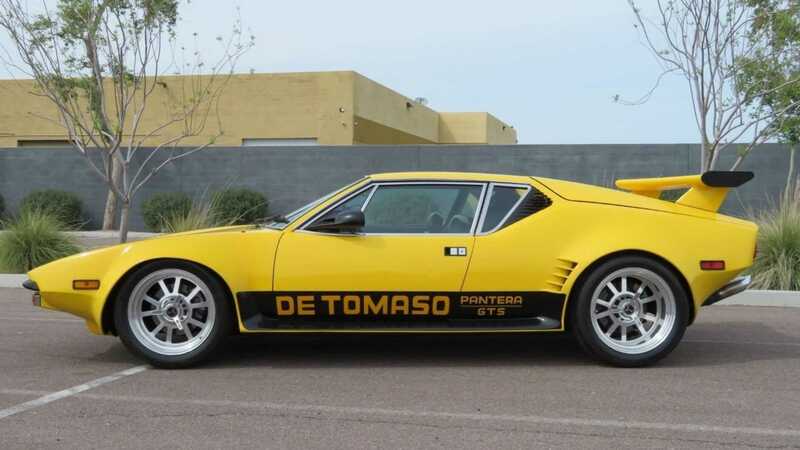 If you are currently in the market looking for a well-maintained example of a De Tomaso Pantera with relatively low miles, then you should definitely check out this 1973 model currently for sale at Canyon State Classics with a clear California title for $79,900.